Every order comes with 3 capsules, each formulated using 100mg winterized BHO, coconut oil and soy lecithin. 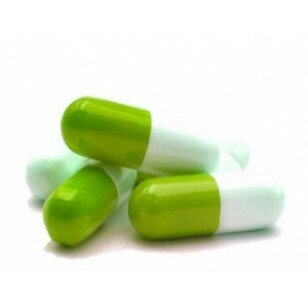 These canna capsules are very potent and long lasting, ideal for the individual who desires to monitor their dosages. Capsules are a preferred method for patients who do not wish to smoke or inhale cannabis vapor. BHO is processed on a closed loop extractor. Once out of the extractor the oil is re-dissolved in 96% ethanol and put into the freezer for 24-48 hours for the plant waxes and lipids to solidify and separate out. The oil is then strained to remove the solidified material and purged, first over a hot plate to remove the bulk of the solvent and then finished in a vacuum oven. Every order comes with 3 capsules, each formulated using 100mg winterized BHO, coconut oil and soy lecithin. These canna capsules are very potent and long lasting, ideal for the individual who desires to monitor their dosages. Capsules are a preferred method for patients who do not wish to smoke or inhale cannabis vapor. BHO is processed on a closed loop extractor. Once out of the extractor the oil is re-dissolved in 96% ethanol and put into the freezer for 24-48 hours for the plant waxes and lipids to solidify and separate out. The oil is then strained to remove the solidified material and purged, first over a hot plate to remove the bulk of the solvent and then finished in a vacuum oven.